Garage is the sound of now and what makes it most identifiable is it’s drum beats, they swing like a mad man and thump with their own eclectic craziness. The hats are nasty, claps snap like a mule and once combined make sure even the least energetic people have to get up and dance. 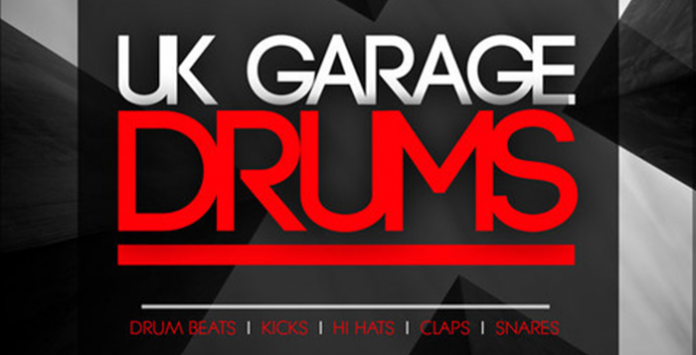 ‘UK Garage Drums’ encompasses all the authentic elements from the Garage music scene and deliver 24 bit luxury drum beats that no Garage, Bass House, House or even Deep House producer should be without. ‘UK Garage Drums’ contains legendary drum loops with that London street attitude and swagger, it’s the evolutionary place where Garage was raised and we’ve captured that classic urban sound. 30 drum beats with 172 loops makes up the beat section giving multiple takes of the same beat, with kick, without kick, broken down and the essential driver, this is a serious part of the garage pack but there’s much more, 123 drum sounds, all classic, all 100% guaranteed Garage!